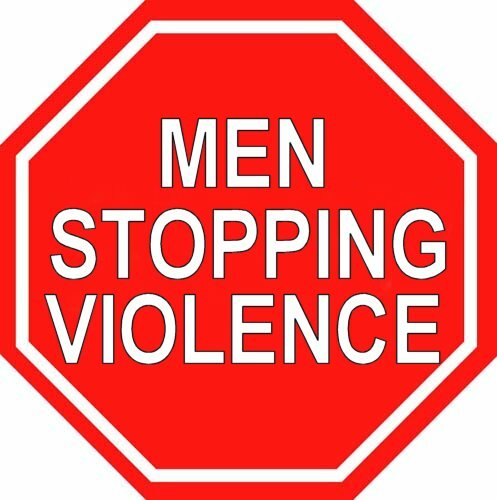 The Men Stopping Violence Program is a highly successful, intense 20-week, full time psycho-educational treatment program for male offenders. The inmates or clients selected for this program have a history of engaging in or perpetrating violence in any form, including domestic violence, sexual violence, homicide, etc. M.S.V. is designed for institutional as well as out-patient settings and can be formulated and personalized to reflect an institution's mission and goals. The format is intensive and concentrates on recognition of responsibility and the methods/reasons for attempting to gain power and control over others. The Program Developer and Coordinator is Joseph C. Marinello, a Master's Degree Counselor/Educator and adjunct professor in Criminal Justice at UNC Charlotte. In 1998, Marinello developed an initial program for the Mecklenburg County Sheriff’s Department in Charlotte, N.C., titled “S.H.O.P. (Stop Hurting Our Partners)”. 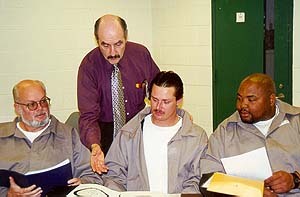 The program introduced domestic violence education to men in the county jail, which housed more than 1,000 inmates. After two years running S.H.O.P., he was invited to develop M.S.V. for the N.C. Dept. of Correction. Domestic Violence is often the product of family patterns perpetuated over generations that have become accepted as normal. Interventions are designed to assist men to become “advocates against violence” so that they cease their abusive and violent behavior and learn to relate more empathically, respectfully and equitably with their partners and others. In addition to providing a workbook for Men Stopping Violence that is based in years of hands-on, practical experience in the field, Mr. Marinello also provides onsite training and consulting services to organizations who want to implement the Men Stopping Violence program. Consultation can include a wide range of services, including presentations, staff workshops, curriculum implementation assistance and support in selecting staff to implement the curriculum. "Our curriculum provides great information and a great guide, but it is the instructors who do the teaching," Mr. Marinello says. "Understanding how it all fits together, as well as screening and putting the right staff in place, is essential to program success." The N.C. Department of Correction selected “S.T.O.P. & Change Direction” as the name for their program. The STOP sign was used as their logo and the acronym was defined as Survey, Think, Option, Prevent Violence. 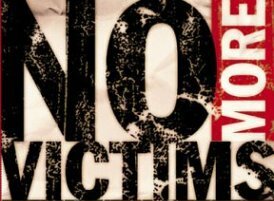 © 2016 Men Stopping Violence, Inc.